Cathodic Protection Coatings - Alpha Pipeline Integrity Services, Inc.
Home » Cathodic Protection Coatings - Alpha Pipeline Integrity Services, Inc.
Cathodic Protection (CP) Coatings are one of the most widely used front line methods for preventing the corrosion deterioration of metallic structures in contact with any forms of electrically conductive environments –containing enough properties to conduct electricity such as soils, seawater, brackish, and natural waters. Cathodic protection coatings reduce the corrosion rate of a metallic structure by reducing its corrosion potential, by providing a barrier to the potentially destructive environment. 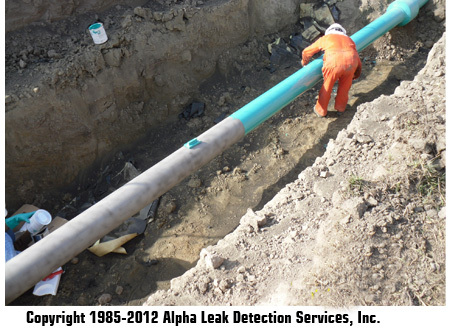 Alpha’s Corrosion Services team can install and/or repair the coating system of your choice.